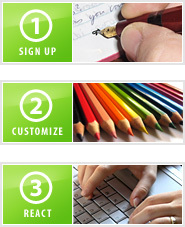 Give your website visitors a possibility to leave a message with your own Write2me guestbook. With the user friendly Write2me ADMIN, you easily can reply the posted messaged and delete them. Of course you can edit the colors of your guestbook and much more!